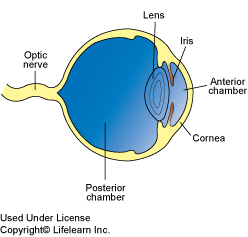 Pannus or chronic superficial keratitis is an immune-mediated condition affecting the cornea or clear part of the eye. 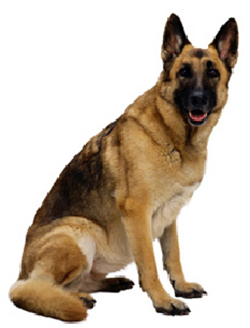 It occurs primarily in middle-aged German shepherd dogs, but other breeds may also be affected. What are the clinical signs of pannus? At first, a non-painful, elevated pink mass appears on the cornea, most commonly on the lateral or outer side (if you imagine the eye to be a clock face, the mass will often be found in the eight to eleven o'clock position on the pet's right eye, or the one to four o'clock position on the left eye). Both eyes are usually affected but one may appear worse than the other. The third eyelid commonly appears thickened and inflamed. There is a variation of pannus that only involves the third eyelid called nictitans plasmacytic conjunctivitis or plasmoma. As pannus progresses, the lesion will flatten and spread out, will become pigmented or dark in color, and scarring will spread over the cornea. In advanced cases, visual impairment may result due to the inability to see through the dark pigment covering the cornea.If the condition is not treated, the pet will become blind. Pannus is a thought to be a hereditary condition that develops as the pet ages. Breeds such as German shepherds, Border Collies and Long-Haired dachshunds are the most commonly affected breeds, but pannus can occur in any breed. Predisposing factors such as increased exposure to ultraviolet light, high altitudes and smoke may contribute to the development of pannus and certainly can exacerbate the condition. Diagnosis is based on medical history and clinical signs. Diagnostic tests include corneal staining with fluorescein, intraocular pressure testing (IOP), and corneal or conjunctival biopsies. Treatment involves using topical corticosteroids or other immune modulating drugs. Antibiotics are sometimes required in cases that have developed a secondary infection. "Treatment will not cure the condition, but will halt the progression and may reverse some of the changes." Treatment will not cure the condition, but will halt the progression and may reverse some of the changes. The treatment of pannus is for life. It is important that your veterinarian's instructions are carefully followed and medications are consistently administered. Regular check-ups and vigilance are imperative since the condition often relapses throughout life. What is the prognosis for a dog diagnosed with pannus? The majority of cases respond well to topical medications. Some dogs will require referral to a board-certified veterinary ophthalmologist for more aggressive treatments. In severe cases, surgery to remove the scar tissue associated with pannus may be recommended to improve the pet's vision.